Home / Ricetta / Shortcrust pastry tomato tarts with vanilla-flavoured extra virgin olive oil and goat’s cheese. 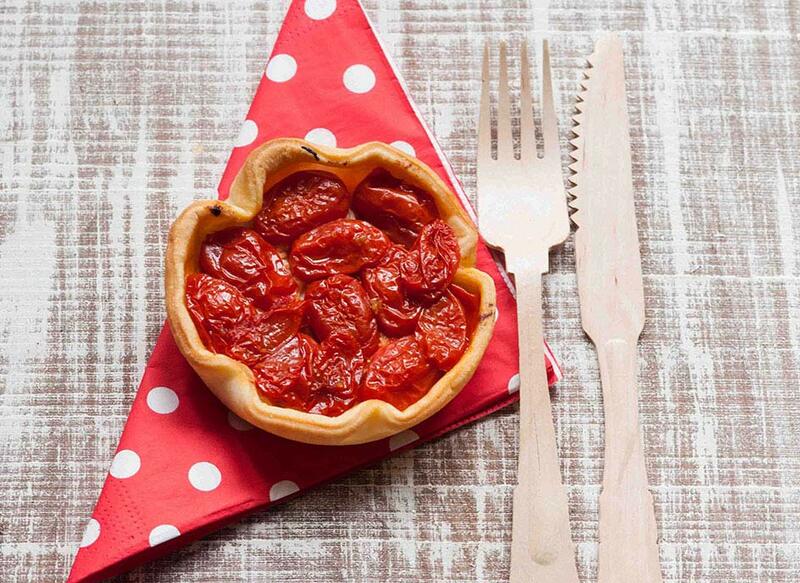 Shortcrust pastry tomato tarts with vanilla-flavoured extra virgin olive oil and goat’s cheese. For a last-minute dinner, a light dish from the Una streghetta in cucina blog that makes a delicious hors d'oeuvre, also perfect for vegetarians. Wash and halve the tomatoes. 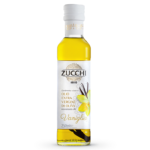 Heat a non-stick pan large enough to contain them all without overlapping and add two spoonfuls of Zucchi vanilla-flavoured oil. Place the tomatoes in the pan with the rounded outsides facing upward and cook them gently for about 10 minutes. Leave them to cool until just warm. Roll out the shortcrust pastry and cut out discs about 10 cm in diameter. Place them in 4 tart moulds, leaving a strip of greaseproof paper in each so that it will be easy to remove the tarts once cooked. Prick holes in the bottoms with a fork. Slice the goat's cheese and place 3 slices in the bottom of each tart. Cover with the tomatoes, again leaving the rounded outside facing upward. Sprinkle them with the juice, salt very lightly and bake at 190°C for 12/15 minutes. 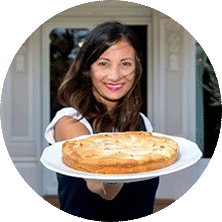 Torn between fashion and cooking, She loves preparing recipes that are fast but chic to transform even the simplest recipe into a gourmet delicacy.